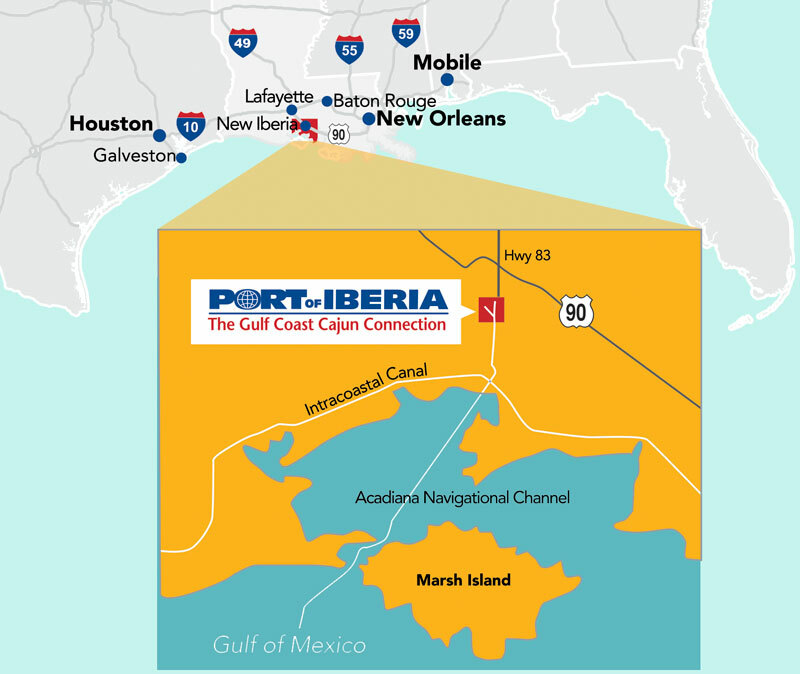 There is no better place to put your money or your industry than the Port of Iberia in New Iberia, Louisiana. Located near the Louisiana coast between New Orleans and Houston, the Port of Iberia is a 4,000 acre industrial and manufacturing site surrounding a man-made port complex. 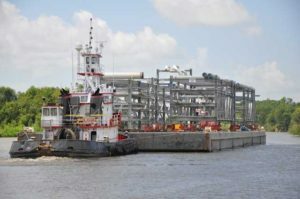 The port has access to the Gulf Intracoastal Waterway and the Gulf of Mexico through its own Commercial Canal and has access to the Mississippi River through major ports in Baton Rouge and New Orleans. 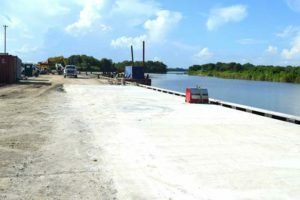 Work continues on the Acadiana Gulf of Mexico Access Channel (AGMAC) to provide 53 mile direct access to the gulf. The Public Dock Facility at the Port of Iberia offers both long-term and short-term docking services including 3,000 linear feet of bulkhead load-out area, stabilized yard, electric power, water, security lighting and fencing, restrooms and parking. The Port of Iberia Marina offers 22 boat slips, both covered and uncovered for recreational and commercial vessels. Short-term moorings are available. The seven parish Acadiana region, home of the Port of Iberia, draws from a population of over 600,000 for a large, well-trained workforce. The diversity is characterized by oil, natural gas, retail, healthcare, construction and tourism. Acadiana is rich in Cajun culture, agriculture, seafood, sportman’s paradise and home of Tabasco©. It’s one of the happiest places in America making it great place to live, work and play.